B.C. 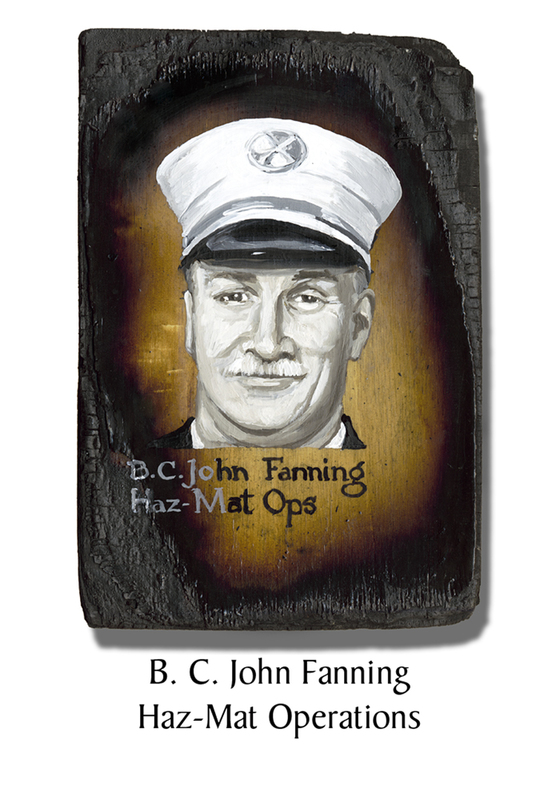 John Fanning, 54, joined the FDNY in 1969. Over the course of his 32-year career, he worked in all five NYC boroughs, and was honored with three Medals of Valor. He once dove into the East River to help saved people from a downed helicopter. Another time he rescued a boy who was dangling from cables in an elevator shaft in a burning building. Made a Battalion Chief in 1994, Fanning was in charge of the Hazardous Materials Operations Unit. One of the FDNY’s terrorism experts, he testified before Congress, was a member of Harvard’s School of Government panel on terrorism, and helped establish the FDNY’s protocols for response to terrorism & WMD. He was last seen running the Command Post in the lobby of Tower Two. All that was ever found of him was his crushed helmet. Fanning was the father of five, three grown children from his first marriage, and two young boys from his second. With both of his youngest sons diagnosed with autism, Fanning had begun to dream of establishing a trust to build a residential home for autistic children on Long Island. One of his older sons was a Suffolk County sheriff who spent four months helping to search the debris at Ground Zero. In 2010 he was forced to retire from the illness he contracted at that work. The week before 9/11, Fanning had let his daughter know the music he wanted to play when he danced with her at her wedding the next April. His choice was “Forever Young” by Bob Dylan. This entry was posted in Better Angels Stories and tagged 343, 9/11, better angels, Dawn Siebel, FDNY, firefighter, firefighters, firefighters of 9/11, Haz-Mat 1, John Fanning, LODD, Manhattan, memorial, NFFF, paintings, portraits, World Trade Center, WTC. Bookmark the permalink.